Washington, D.C., packs plenty of power within its more than 60 square miles. It looms so large on the international stage that it's often overlooked as a livable, beautiful, walkable city — a city that also happens to be filled with health-conscious Type As with a voracious appetite for wholesome food and access to exercise. 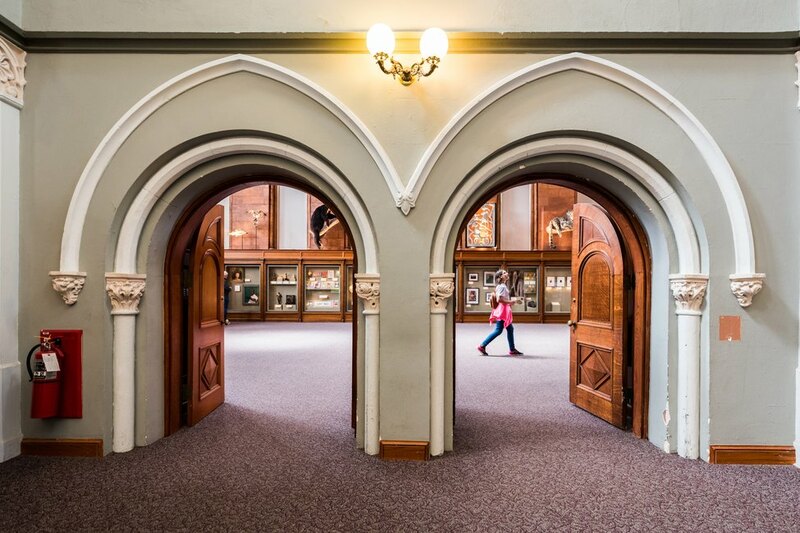 Whether you're here for work, play or protest, be sure to build in some time to stray from the beaten path you explored when you last visited for your seventh-grade class trip. 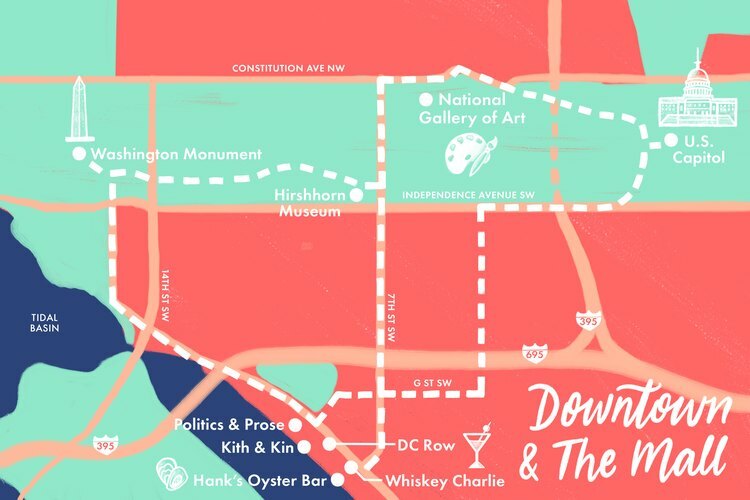 These three neighborhood tours are a great way to start discovering D.C.'s hidden gems. It's easy to explore two very different neighborhoods in one fell swoop with the help of D.C.'s easy-to-use bike-sharing options. There's even a free streetcar service along H Street NE and citywide electric scooter-sharing options if you'd like to speed things up a bit. You might experience a bit of cultural whiplash going from the trendy, gritty Atlas District along H Street to the peaceful streets of Capitol Hill, which are lined with 19th-century row houses. But they both represent two very important aspects of D.C. Most cities offer their fair share of vegan options these days, but a vegan diner that actually knows how to make delicious plant-based comfort foods? That's the holy grail. 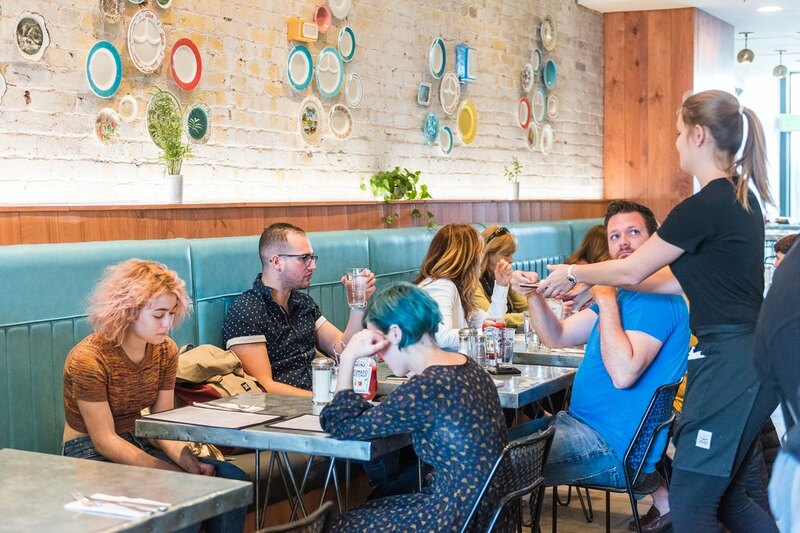 Fare Well owner Doron Petersan, who also owns Sticky Fingers Sweets & Eats in Columbia Heights, won Food Network's Cupcake Wars twice, and her vegan desserts are the real stars here. 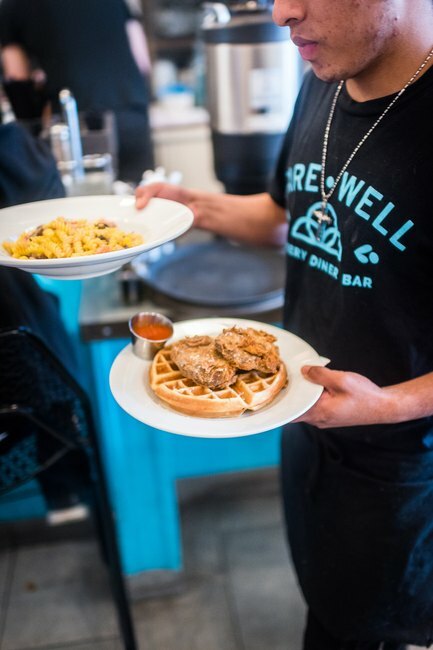 Fare Well opens at 8 a.m. weekdays, making it a perfect first stop. If you decide to sit and eat breakfast, ask for the chilaquiles over potatoes instead of chips. Feeling too antsy to sit? Grab coffee and a pastry and start exploring the storefronts on this multiculti commercial strip. 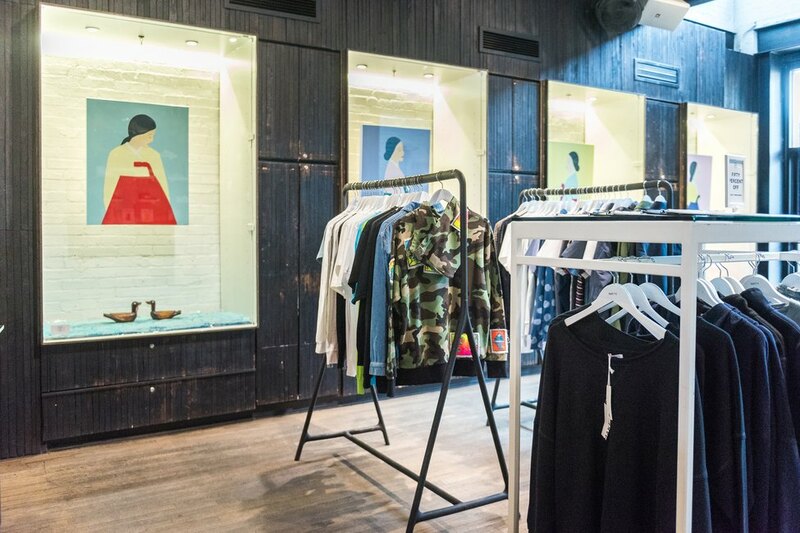 Walk east past the hot yoga and Pilates studios, making sure to hit Maketto — an innovative hybrid of restaurant/coffee shop/men's store — to check out the awesome wall of shoes, among other high-end urban clothes and accessories. While H Street isn't devoid of daytime charms, this area is really most vibrant and exciting at night, so grab a bike (this isn't the prettiest area of D.C., so it's best to whiz through it on two wheels) and make your way to the Anacostia Riverwalk Trail, stopping in at Turning Natural juice bar for smoothies, juices or salads if a picnic is in the cards. The trail can be picked up by making a right onto the walking and biking path soon after you pass the old stadium parking lot. With the water to your left, follow the path south till you start seeing signs for Congressional Cemetery. Google Maps is a huge help when you feel unsure of where to go next. 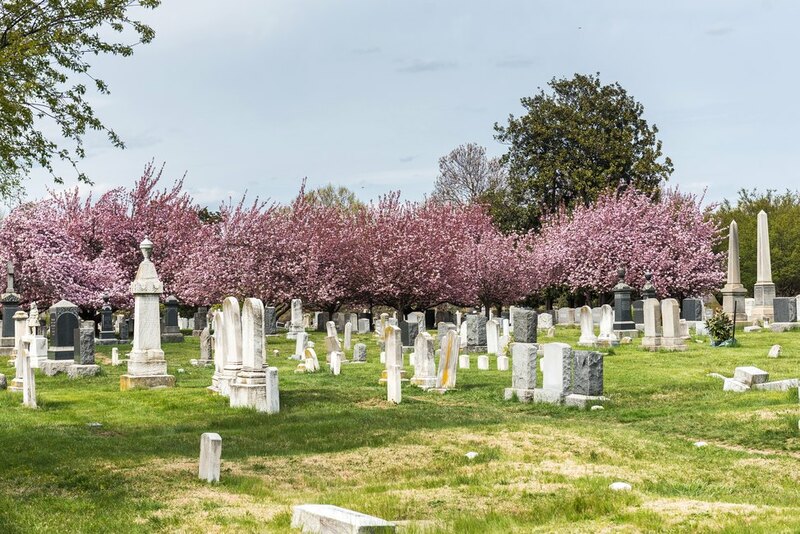 The national historic landmark offers 35 acres of gorgeous hills dotted with very old trees and grave sites — many of which are the final resting place of notable Americans like Dolley Madison, John Philip Sousa and J. Edgar Hoover. Self-guided tours with maps, significant grave sites and historical context are available on the cemetery's website. Hop back on your bike and find the spot a block south where Potomac Avenue SE meets G Street. Make a right on G and get ready for a trip back in time through the Capitol Hill neighborhood, which feels like a small, sleepy town on weekends, when local kids play soccer and T-ball on fields between the blocks of colorful row houses. This route will take you to Barracks Row, a dense stretch of retail shops, restaurants and salons anchored on the southern end of 8th Street SE by the Marine barracks and ambling north toward Eastern Market, a historic public emporium that's been operating nearly continuously since it was completed in 1873. Dock your bike and take your time poking into such shops as District Doughnut (go on, #treatyoself); Summit to Soul for women's athletic wear; Souk for hard-to-find spices and local coffee (and maybe a quick roti, if you're feeling peckish); or Capital Teas, DCanter and Hill's Kitchen to check out tea, wine and kitchen gifts, respectively. When you arrive at Eastern Market, walk among the indoor and outdoor stalls ogling the produce, meats and seafood, and maybe opt for a quick lunch or snack at Market Lunch, which is known for its blueberry-buckwheat pancakes and its crab-cake sandwiches. Bike or walk a mile north back to H Street, perhaps stopping at local juice joint Jrink — found on C Street SE between 7th and 8th Streets — along the way. If you can get to Gallery O on H before closing time (5 p.m.), duck in for an eyeful of colorful local art before grabbing dinner at the new vegan hot spot Fancy Radish from the folks behind Vedge and V Street in Philly. 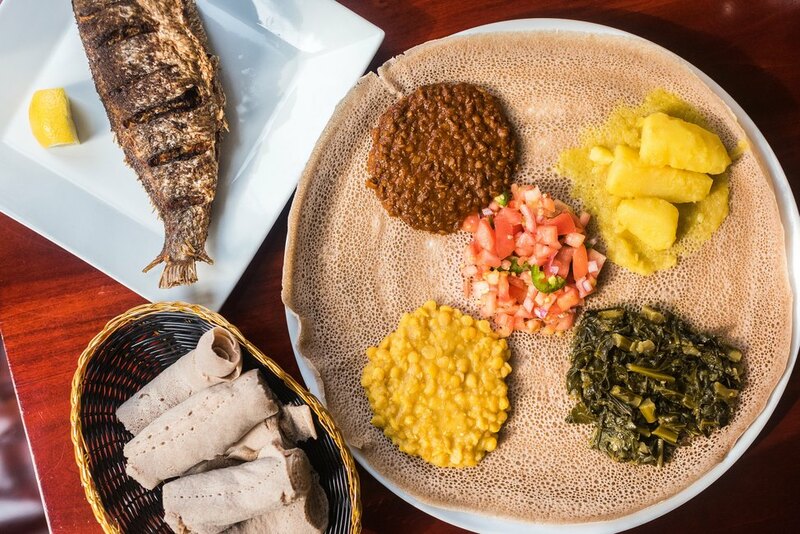 D.C. is also known for its Ethiopian food, so dinner at the well-regarded Ethiopic on H Street is another great option. And Khepra's Raw Food Juice Bar is open most days till 8:30 p.m.
Then there's nothing left to do but walk up and down H Street (be aware of your surroundings, though; this is a real city) reveling in the major nightlife scene. 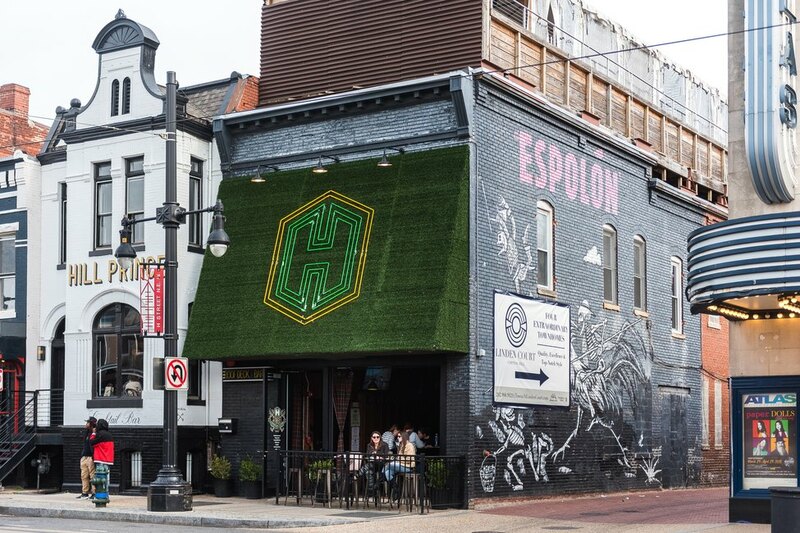 Play a round of indoor mini golf at H Street Country Club; order some of the city's best cocktails at Copycat Co.; find bars with vantage points for sunset vistas like Ben's Upstairs or Smith Commons; or see who's playing that night at the Rock and Roll Hotel, which is actually a music venue, not a hotel. 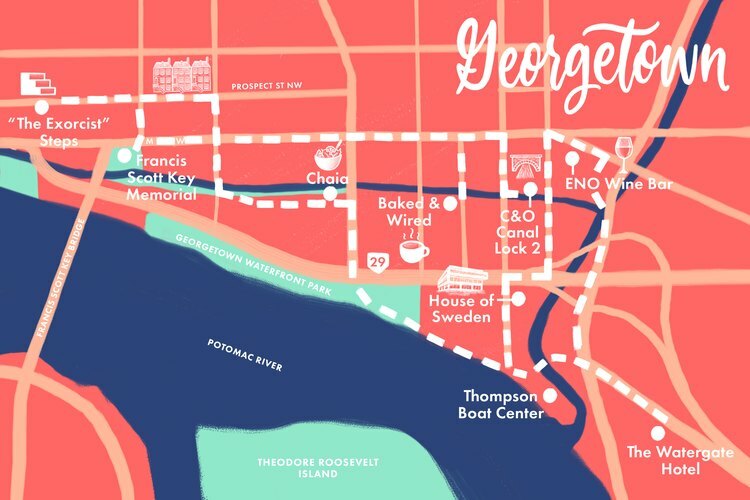 Outsiders might associate Georgetown with the famous university that sits toward the western side of the neighborhood — and on weekends, when college students are out doing what college students do, the bar scene can feel like a frat house. 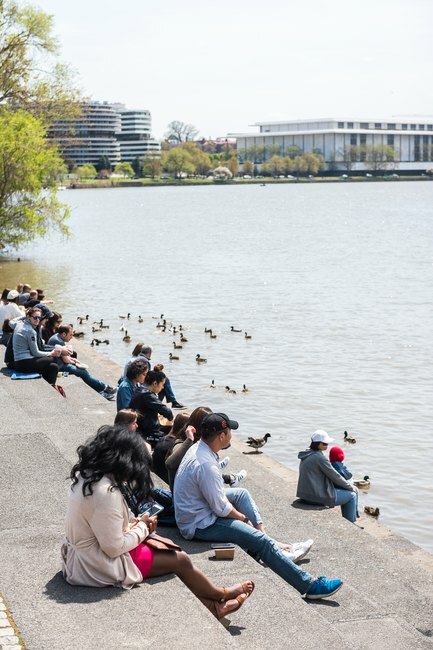 In truth, many Washingtonians regard Georgetown as the realm of students, well-to-do older residents and tourists. But even the most jaded feels D.C. pride slowing down for a stroll among those quaint Federalist homes, local and national retail shops and hidden historic charms. 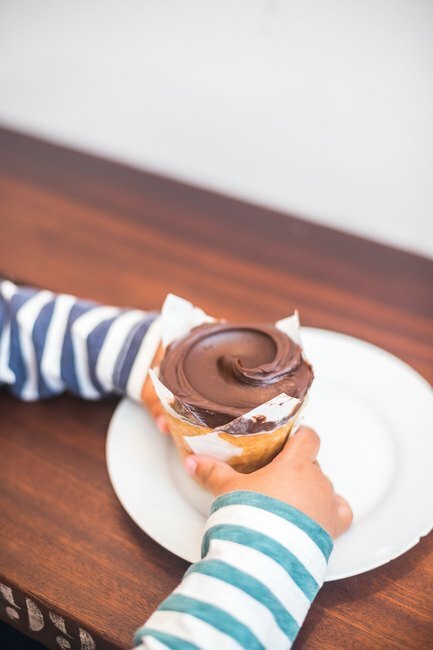 Georgetown Cupcake might have the lines, the TV show and the cachet, but locals make a beeline to Baked & Wired when the craving for coffee and sweets arises in Georgetown. 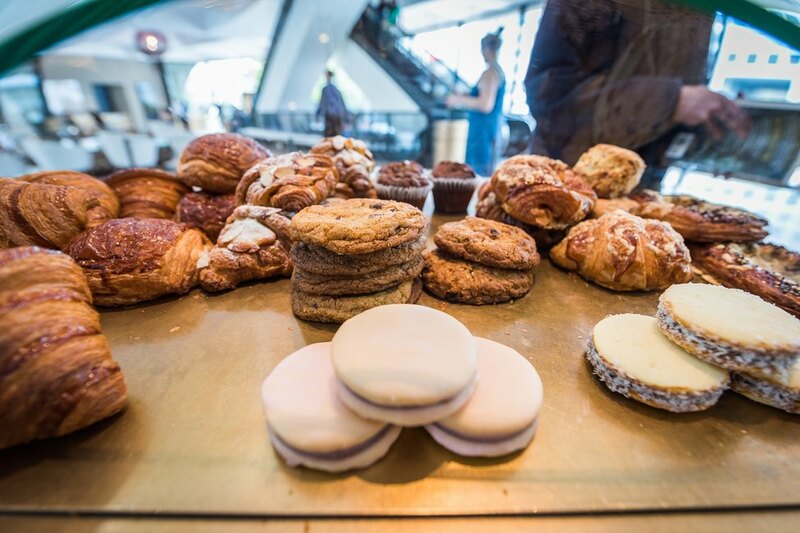 Start your day here with a latte or single-origin pour-over, a pastry (if there's a fruit-filled hand pie, go for that) and a to-go bag of Hippie Crack, the bakery's habit-forming granola. Seats are tough to come by, so plan to head outside. Look around across the canal for a nearby stairway that leads down to the C&O Canal Towpath and walk a mile westward beneath behind the hustle and bustle of the streets above. 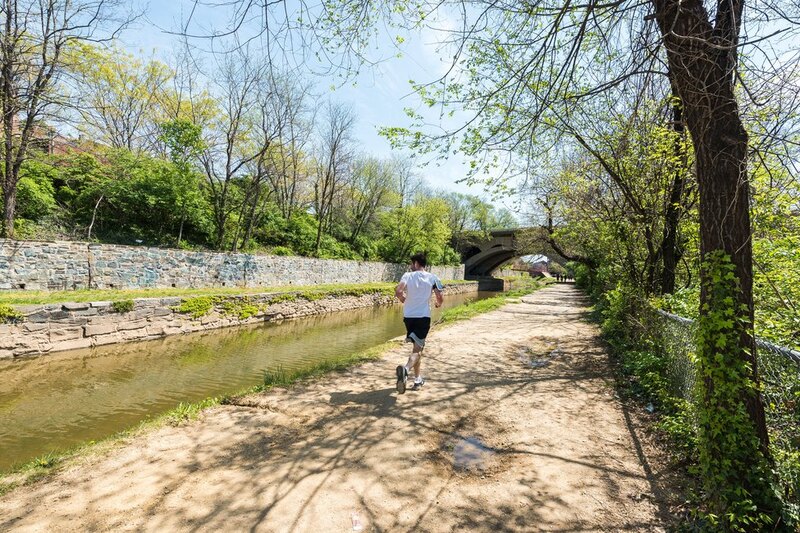 The historic canal, which used to offer boat rides pulled by donkeys, is currently dry while the Georgetown leg undergoes an extensive renovation. The trail continues well beyond D.C.'s borders into Maryland and West Virginia, but your walk will end when you hit the Francis Scott Key Memorial, a little park honoring the man who wrote "The Star-Spangled Banner." 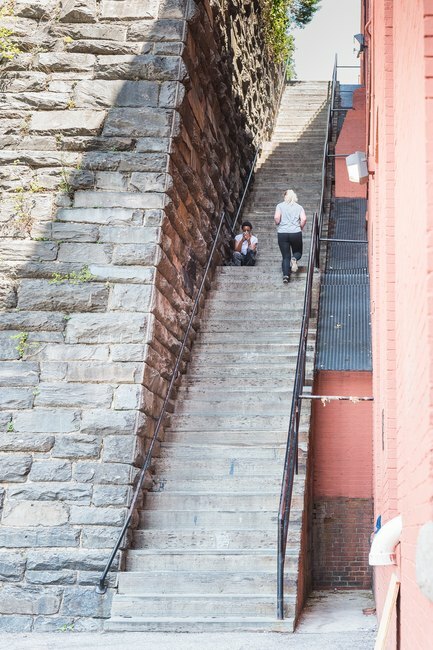 Make your way up 34th Street NW, take a left on Prospect Street and walk two blocks until you come to Georgetown's weirdest claim to fame: "The Exorcist" steps, which were featured in the legendary 1973 film. Walk down the steps (if you dare) until you hit M Street, which is the east-west shopping artery of Georgetown. 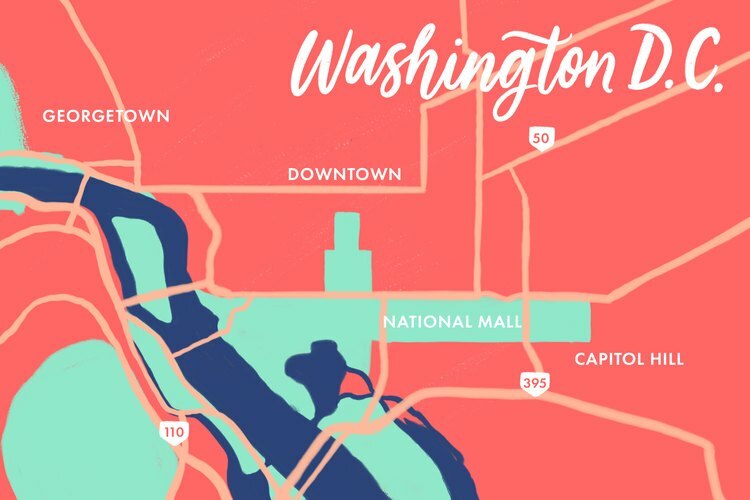 You could spend an entire day — and get quite a few steps in — giving your credit card a workout at shops like Patagonia, Georgetown Running Company, Athleta, The North Face, Lululemon and the many local shops that run up Wisconsin Avenue, which is the north-south vein of the main shopping area. You're going to get hungry eventually. 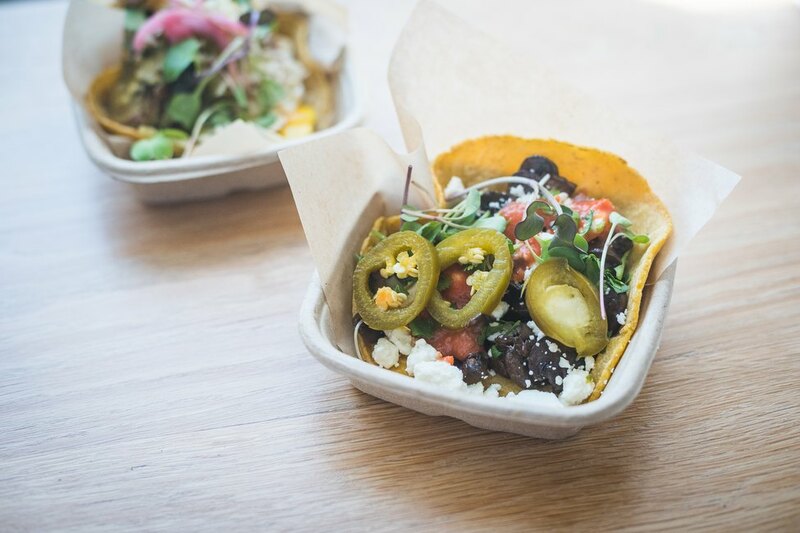 When you do, grab some farm-to-taco goodness at Chaia, the vegetarian taqueria that got its start at local farmers markets. 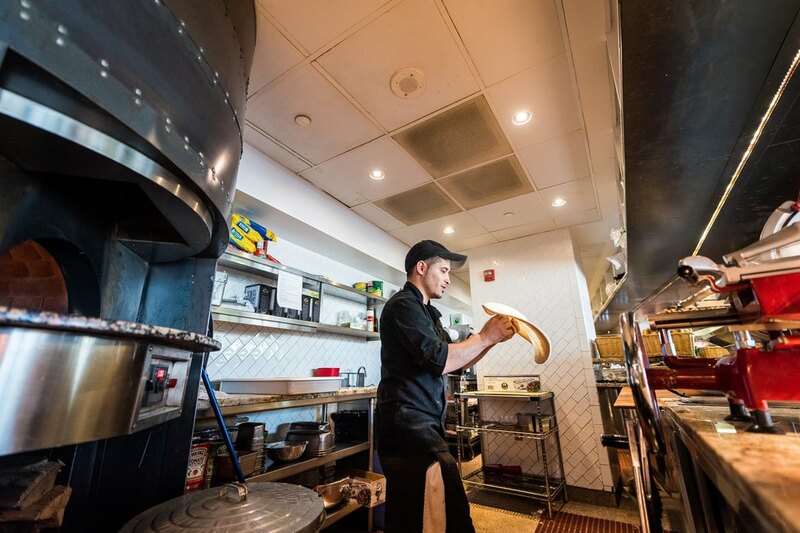 For an after-taco treat, walk a few doors west on Grace Street NW to South Block for locally sourced fresh-pressed juices, smoothies and acai bowls. Another lunch option is to genuflect at the altar of Sweetgreen, the D.C.-based salad chain that kick-started a healthy fast-casual movement in this region. If you have time and the inclination, pop into Ching Ching Cha for a Chinese afternoon tea or just to peruse the tea-brewing merch they have for sale. You've been eyeing that glorious Potomac River all day, and now it's time to get up close and personal. 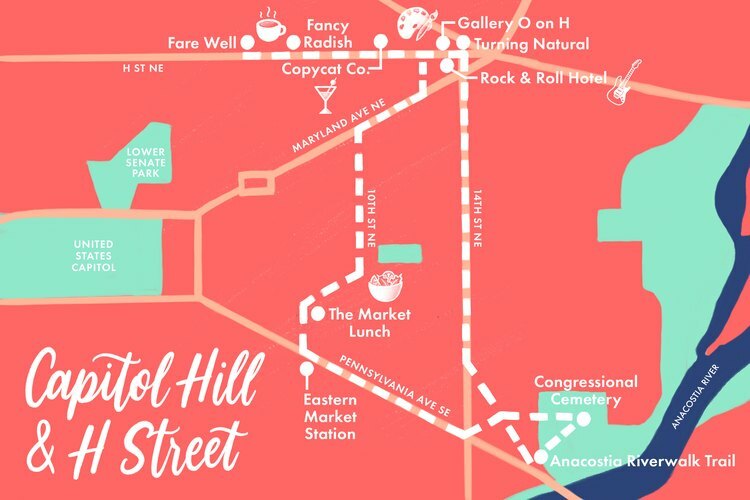 Walk back east on Grace and make a right onto Wisconsin Avenue, which you'll follow until it ends at the Capital Crescent Trail. Follow the water's edge till you arrive at Thompson Boat Center, where you can rent a kayak, canoe or paddleboard. Have you really visited D.C. if you haven't spotted an embassy? 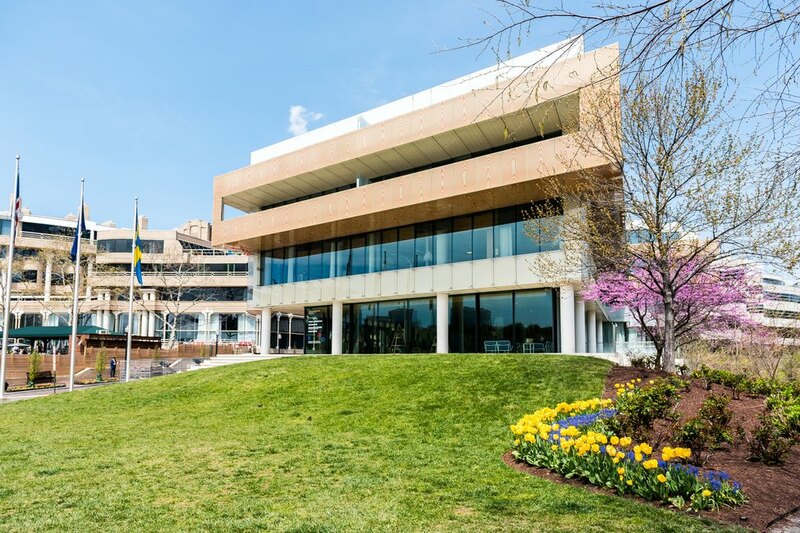 This is easily resolved after your river fun with a five-minute walk up 30th Street to House of Sweden, a window-filled contemporary Scandinavian building that contains both the Swedish and Icelandic embassies and regularly hosts concerts and exhibits. 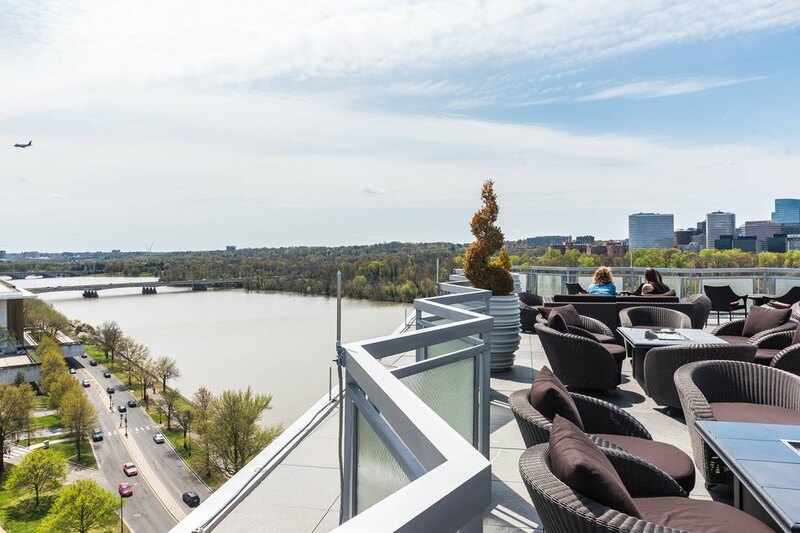 Walk north toward 29th and Pennsylvania Avenue NW for a light dinner at Eno Wine Bar, or make your way east along K Street, the Rock Creek Park Trail and Virginia Avenue till you find the Watergate Hotel, which reopened under new ownership in 2016 following a $125 million renovation. Not only is this stunning hotel a must-see due to the part it played in American history, it also now houses a killer spa (a $35 all-day pass is a great option for rainy days) and offers what might be the city's most beautiful view from its rooftop bar, Top of the Gate. 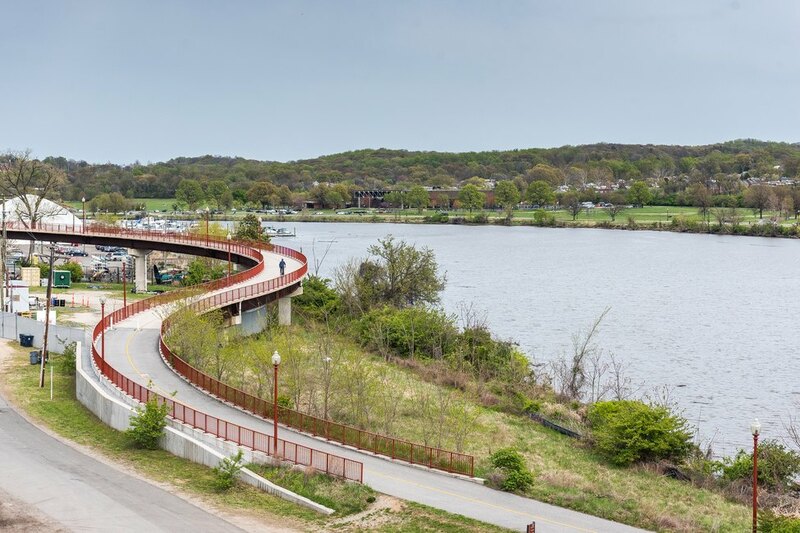 The sunset over the Potomac River and the Georgetown skyline will impart a new appreciation for the neighborhood you explored on foot all day. That seventh-grade class trip you took to the Nation's Capital? 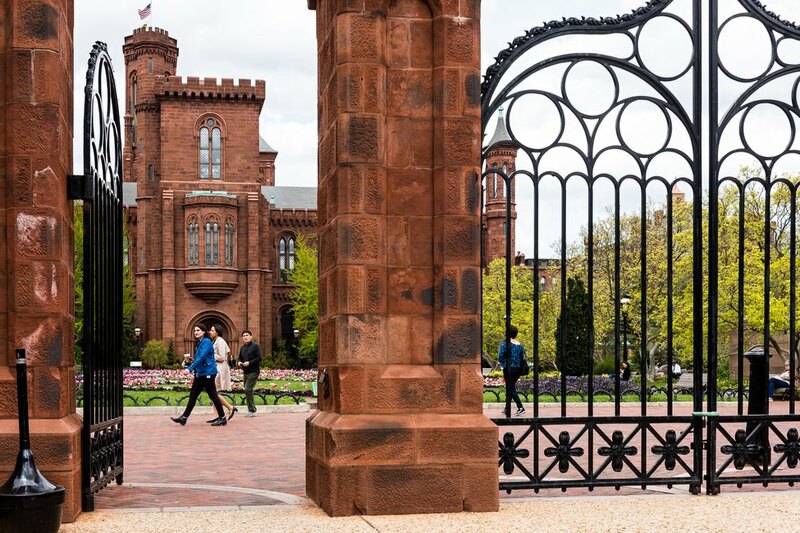 We're guessing you spent much of that time on the National Mall peeking into what is affectionately known as America's attic — aka, The Smithsonian. But D.C. has changed a lot over the past 10 years, and the Mall now features the wildly popular National Museum of African American History and Culture, and exhibits at the various museums change all the time. In addition, there's a brand-new development on the waterfront called The Wharf, which is chock-full of restaurants, bars, activities and music venues. Consider it D.C. 2.0. 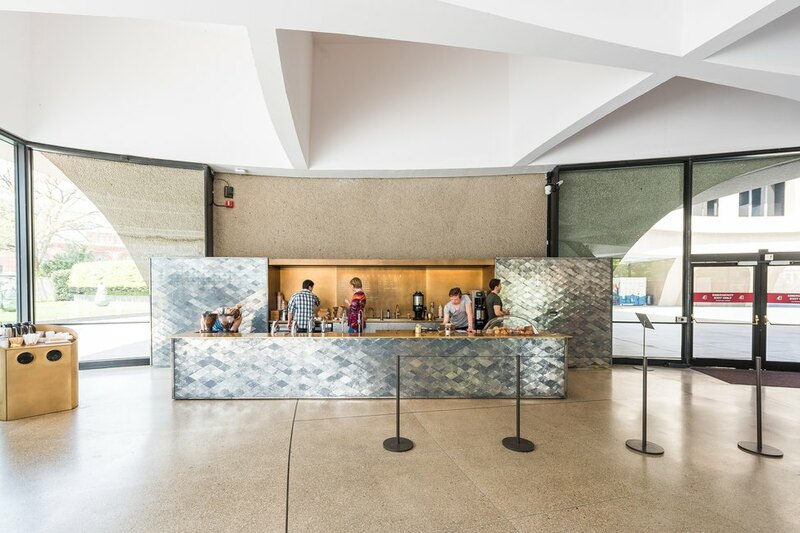 Start your day with coffee and pastries procured at the sleek new Dolcezza Gelato inside the Hirshhorn Museum and Sculpture Garden's lobby, which was designed by Japanese artist Hiroshi Sugimoto. It goes without saying that said coffee and pastries should be enjoyed outside among the sculptures, right? After that, it's an easy decision to spend the morning walking around the Mall, stopping in to visit any of the free museums that pique your interest. 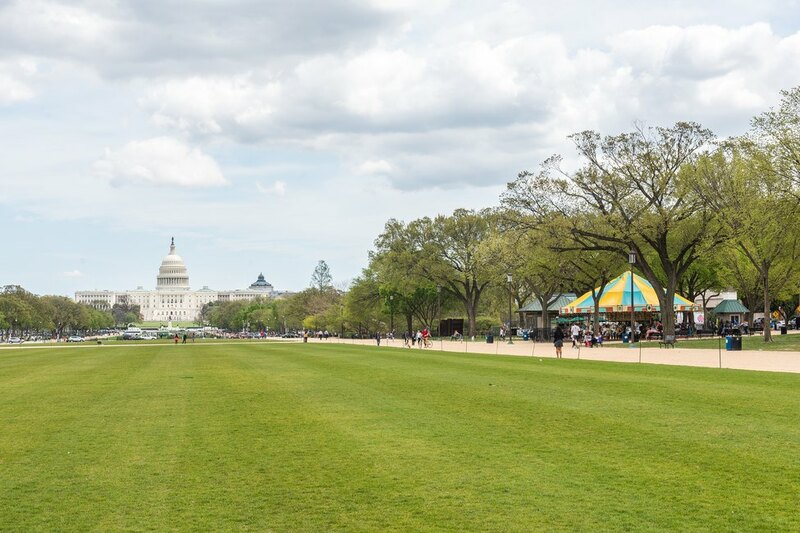 It's about one mile from the U.S. Capitol on the east end of the Mall to the Washington Monument on the west, so you can work in a good walk just making that loop and looking at the gardens. The sculpture garden at the National Gallery of Art, which surrounds a fountain in the summer and transforms into an ice rink in the winter, is a favorite. 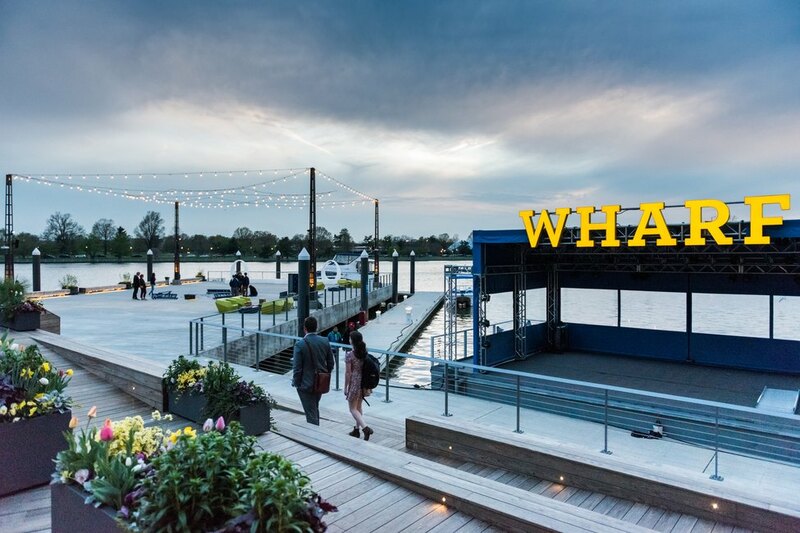 Make your way to 7th Street near the Hirshhorn and walk south to Maine Avenue, where you'll run smack into The Wharf, a new waterfront development. 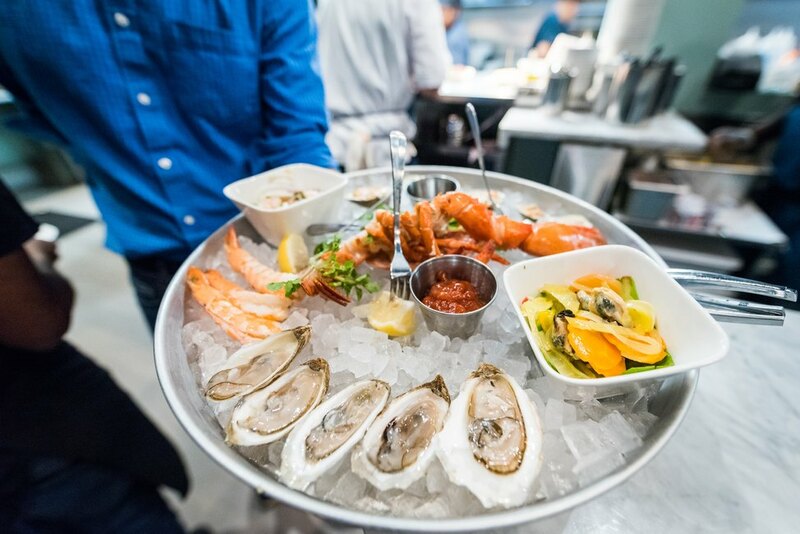 Sit for lunch at Hank's Oyster Bar for water views and bivalves. 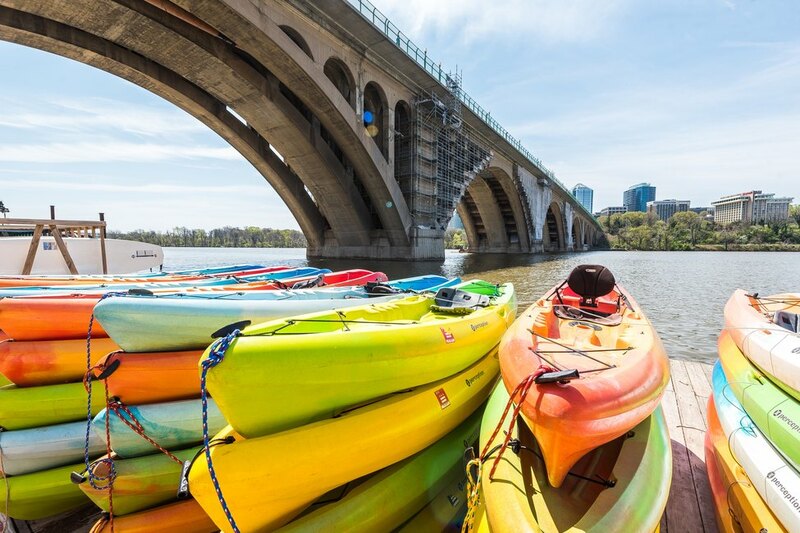 You're surrounded by ways to access the water, such as the free electric jitney from Recreation Pier to East Potomac Park, but consider staying on land and trying a fitness class at DC Row, which turns your old rowing-machine routine on its head by adding intervals, sculpting exercises, recovery and core exercises for a total-body workout. Stroll along the boardwalk and stop at Politics & Prose (a beloved local bookstore that chose The Wharf for its second location) before ducking into one of the many various globally inspired restaurants, including chef-driven Afro-Caribbean at Kith & Kin, luxe Spanish at Del Mar and upscale Filipino at Kaliwa, plus Mexican at Mi Vida and Irish pub fare at Kirwan's. 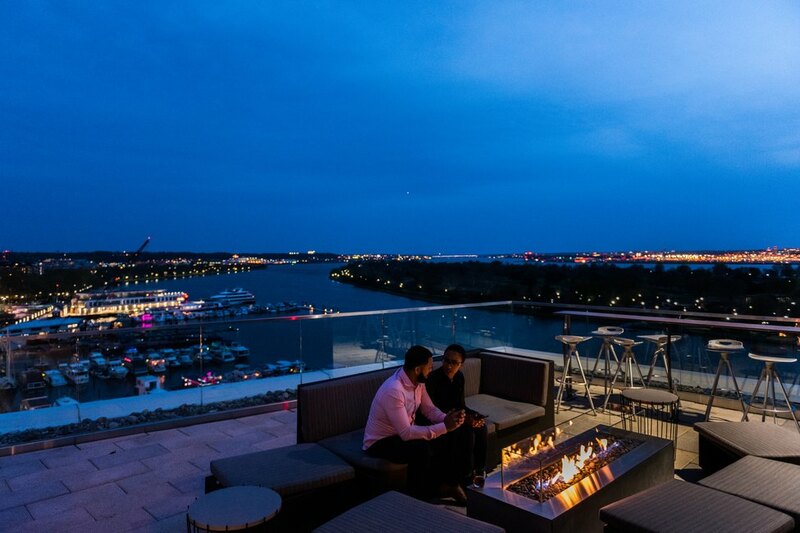 Finish the day with a cocktail at rooftop bar Whiskey Charlie or with a live show at one of the many music venues at The Wharf, including The Anthem, Pearl Street Warehouse or Union Stage. If you're lucky, you might catch some street performers or a parade. If not, take a few moments to swing on the suspended wooden seats on the pier while you plan your next visit. Rina Rapuano is a Washington, D.C.-based freelance food and travel writer who has written for The Washington Post, Zagat, Travel Channel and Food Network, among many other outlets. Find her on Instagram at @rinacucina or on Twitter at @rinarap. Rey Lopez is a native New Yorker currently based in Washington, D.C. His photographs have been featured in such publications as The Boston Globe, GQ, People and Washingtonian Magazine. Find him on Instagram @rlopez809.